« Don’t forget to adjust your clocks! Nicotine in cigarettes is a powerfully addictive drug. It is the ingredient that causes the physical addiction to tobacco. Nicotine is a mild stimulant which increases activity in the brain just like caffeine, cocaine and amphetamine. It’s also a powerful toxin, and likely the reason you coughed when smoking your first cigarettes all those years ago. Many people don’t quit smoking because they think it’s too hard, and it’s true that quitting isn’t easy for many people. After all, not only is smoking a physical addiction, but a psychological habit as well. Most people will try and quit many times before finally being successful. 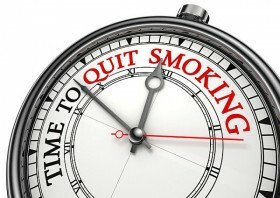 Stop smoking and free yourself from your nicotine addiction with low level laser treatment. The procedure is very relaxing, non-invasive, non-thermal, safe, pain-free, affordable, and produces great results. Call Calgary Laserworks at 403-301-3730 today!